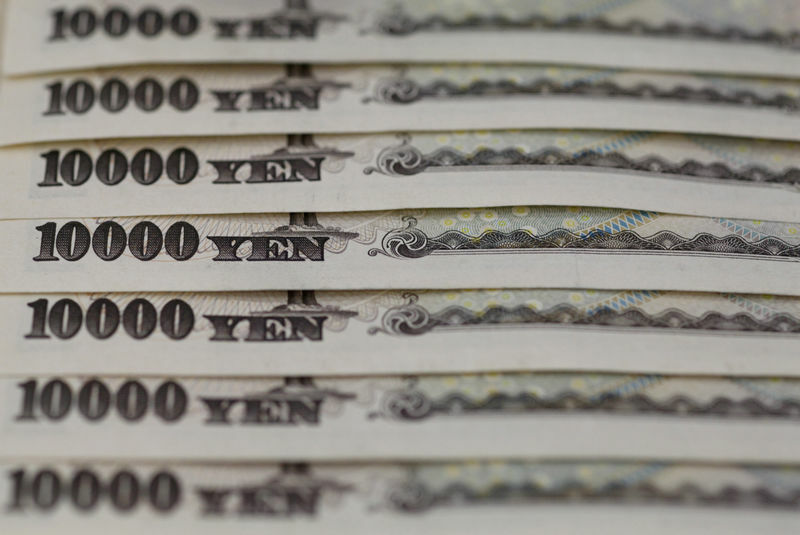 TOKYO (Reuters) – The yen hovered near its lowest level this year on Monday as more signs of stabilization in the Chinese economy and an upbeat start to the U.S. earnings season prompted investors to abandon the safe-haven currency to seek higher returns elsewhere. The dollar stood at 112.02 yen, little changed on the day but near Friday’s high of 112.10, which was near its year-to-date peak of 112.135 touched in early March. Although China’s imports remained weak, the data on the whole cemented hopes that the Chinese economy is bottoming out after a soft patch as Beijing has curbed de-leveraging efforts and stepped up support for the economy in recent months. “It all seems to have started after Friday’s Chinese data,” said Kyosuke Suzuki, director of forex at Societe Generale (PA:). U.S. stocks also rallied on Friday on strong earnings from JPMorgan (NYSE:) and an 11.5-percent jump in Walt Disney (NYSE:) Co on news of its streaming services. The has reached its highest level in six months, coming within sight of testing a record high marked in September last year. “We are seeing a classical risk-on market,” said Minori Uchida, chief currency analyst at MUFG Bank. But Uchida also believes the dollar’s upside may be limited, given that speculators have already built up large long positions in the U.S. currency. The British pound fetched $1.3080, stuck in its recent trading range as fears of a no-deal Brexit have receded for now.